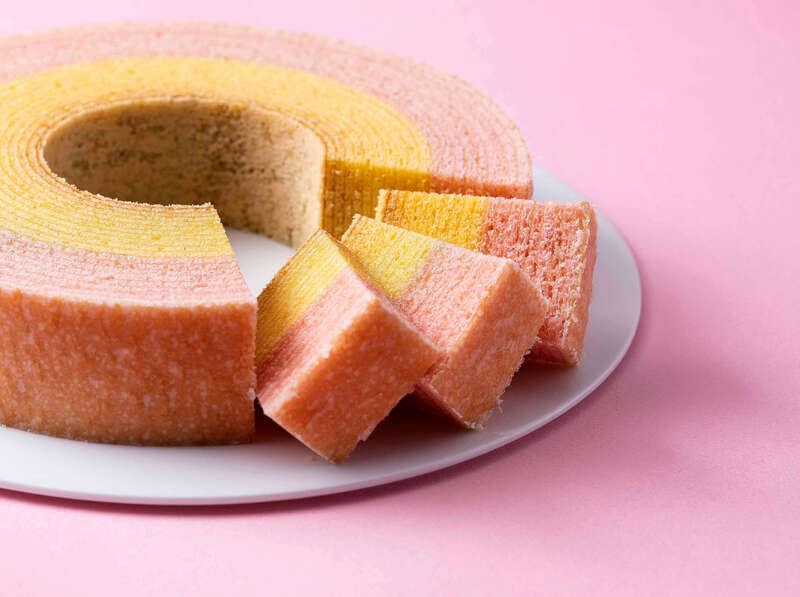 Baumkuchen cake brand “Nenrinya” is celebrating the new era of Japan “Reiwa” with the launch of a limited edition new era Baumkuchen! The Reiwa Baumkuchen cake even comes in special packaging decorated with the era name “Reiwa”. This elegant, bright, cherry blossom-coloured packaging is finished with a design consisting of two red circles. This design is special for the incorporation of the concept of its origin. 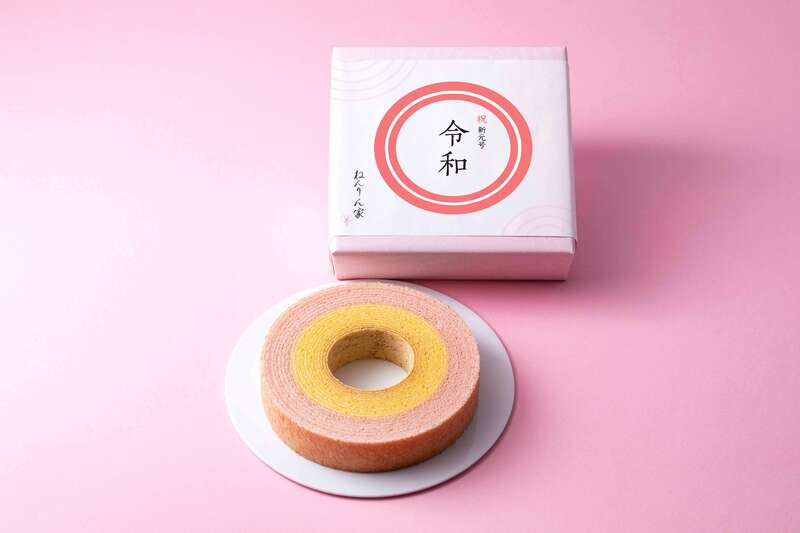 Nenrinya’s Baumkuchen cakes resemble the appearance of growth circles of a tree. This represents “prosperity” and “happiness”, making it the perfect gift to bring someone good fortune. Nenrinya’s first-ever red and white fortune cake is symbolised by two circles. These two circles represent the past era of Heisei and the new era called Reiwa. This Baumkuchen can only be enjoyed for a limited time! The inner ring of the cake is a standard plump egg-flavoured sponge cake that is baked. The outer ring is covered with sakura leaf syrup that melts into the cherry blossom-coloured cake. This is the only time you can enjoy two different flavours at the same time. Seize your chance to enjoy the flavour of the many rings of cake! Available: Monday 1st April 2019 (from when they are presented in the shop) ー around mid-May. Purchasable from all Nenrinya (ねんりん家) shops. Shop list: Ginza main store, Daimaru Tokyo, Seibu Ikebukuro, Sogo Yokohama, Hankyu Umeda, JR Tokyo station, Haneda airport Terminal 1, Haneda airport terminal 2, Chiisana Baum Tree JR Shinagawa station. 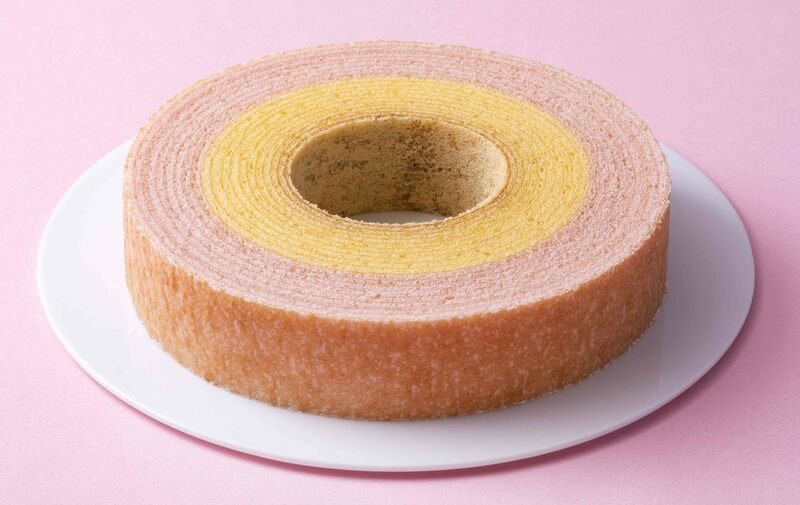 ※ The new era Baumkuchen are also sold at some sister companies.